Please see my correction and apology for this article. 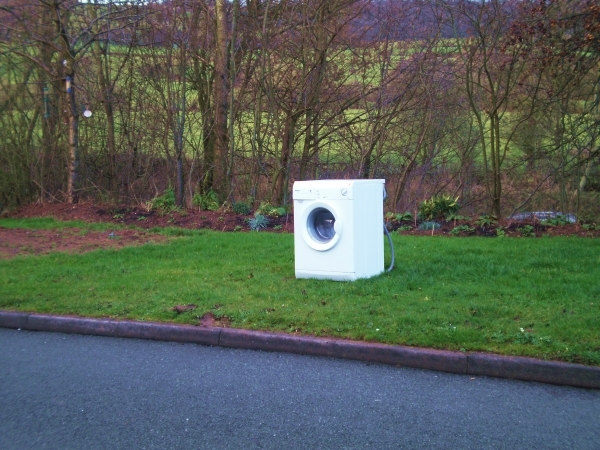 I am appalled by the way that Shropshire Council is treating the residents of Ludlow. It is stripping jobs and services out of the town and concentrating them in Shrewsbury. We are not getting our fair share for the council tax we pay. Papers for a Shropshire Council meeting on 28 January recommend that our tip and recycling centre at Coder Road will be closed. The Tory councillor who will make the decision, Steve Charmley, told BBC Radio Shropshire this morning that “he would not be surprised” if he decided to close the facility. Of course he will decide to close it and he will do so at a meeting where he is the only person who will be allowed to vote. It’s also a meeting from which the public and press will be excluded. Shropshire Council has introduced this system to ensure that it can make decisions out of the public eye. If it is confident about the decision it is making, why does it not make them in public? The council officer arguing for the closure of Coder Road makes some curious arguments. He says that the Ludlow facility is too small, is open fewer hours than other Household Recycling Centres and sends a higher proportion of waste to landfill rather than recycling. The obvious answer to this is to invest in the facility, open it throughout the weekend when people need it, and work harder with residents to improve recycling rates. But Shropshire Council no longer seems interested in investing in public services, especially in Ludlow. The council is only interested in shutting down services wherever it gets an excuse. This debacle is linked to the “nightmare” 27-year waste contract with Veolia. The Shropshire Star gives a useful timeline of the waste contract. The former Tory-controlled Shropshire County Council gave Veolia a contract that increases its costs to the council in line with inflation. The cost of the contract was hiked by £548,000 to £25.8 million last April and it is set to rise every year until it ends. Veolia is not being rewarded for an improvement in services. It is not being rewarded for increased efficiency. It was simply a payment because Shropshire County Council signed a contract that left the council taxpayers hostage to the vagaries of inflation. The Shropshire Star reports council leader Keith Barrow saying: “I personally wouldn’t have signed the contract we have ended up with.” The contract was signed by councillor Joyce Barrow, who has not commented on the huge costs and restrictions on recycling that have followed by her action. See correction to this statement. We still don’t get kerbside cardboard collection here in Ludlow and much of Shropshire. Apparently we would have to pay Veolia an extra £169,000 a year – on top of the £548,000 the company got for inflation alone – to get kerbside recycling restored. Meanwhile, cardboard recycling has dropped by 60%, increasing our landfill bills and carbon emissions. After the closure of Coder Road, local people will have to travel to Craven Arms to tip their waste and recycle bulk items that won’t go in the bins and recycling banks. People are already fly-tipping on Ludlow’s streets and fields because of the limited opening hours of our tip at Coder Road. It can only get worse. Recycling banks: Smithfield car park, Co-op car park, Tuffins car park. Bulk item collection (from £27). 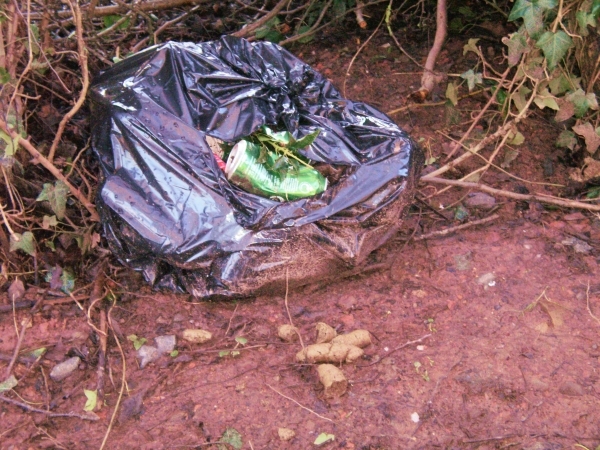 Report fly-tipping, litter and dog mess.